The birthplace of scary. Original horror epics. Darker than the inside of a tomb. Dracula. Frankenstein. The Hound of the Baskervilles. 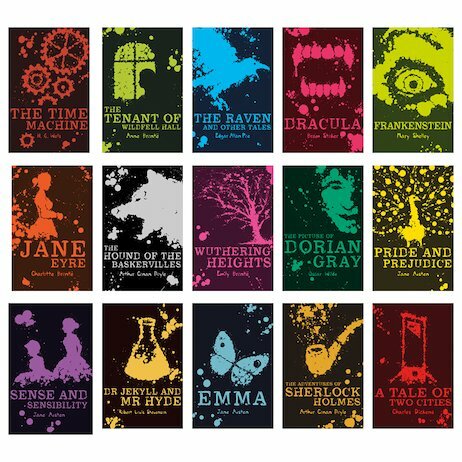 The most iconic Gothic classics on the planet – now with striking cover artwork to match. Without these, there would be no Twilight and no Zom-B. (Plus, no scary films to share at Halloween.) Love that never dies. Monsters that haunt your nightmares. Tales that burn into your soul.